It looks like Garry Marshall will continue to work methodically through the Gregorian calendar, directing movies as holidays arise and casting marquee names to pal around in them. His latest festive project, Mother’s Day, starring Julia Roberts, Jennifer Aniston, Jason Sudeikis and Kate Hudson, is already filming in Atlanta. But because Marshall has made way more than four movie-star friends, Deadline reports the cast has swelled to include Timothy Olyphant, Shay Mitchell (Pretty Little Liars), Aasif Mandvi (The Daily Show, Halal In The Family) and others. 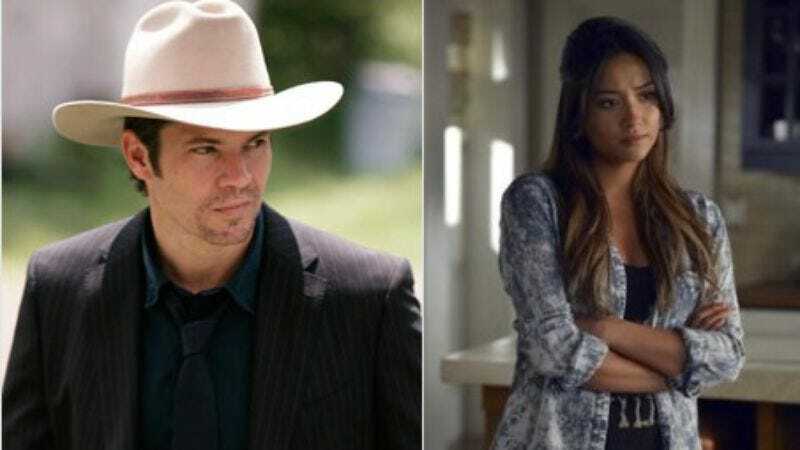 Olyphant will play Aniston’s ex-husband and father of her children, and Mitchell will play his “bouncy and beautiful” new wife and stepmother to his children. He will presumably have trouble juggling the responsibility of wishing two separate women a happy Mother’s Day, as well as sharing custody. Mandvi has been cast as Hudson’s successful doctor husband, but there’s no word on how many kids they’ll have, if any. Under The Dome’s Britt Robertson is also slated to appear—she’ll have at least one kid in the movie, as well as a friend in Sudeikis’ character. Jack Whitehall (of the Bad Education series) will play her stand-up comedian boyfriend. The movie, which will probably have innumerable “I love you’s,” has somehow required four screenwriters on the script, including Monster-In-Law scribe Anya Kochoff and actor Tom Hines, who’s appeared in enough Garry Marshall films that he could create his own holiday film by splicing together his performances. The Mother’s Day cast is bound to get bigger, so stay tuned for the inevitable news of the addition of Anne Hathaway.